Feeling adventurous?! I think it’s always a good time to start thinking about planning a vacation or two. 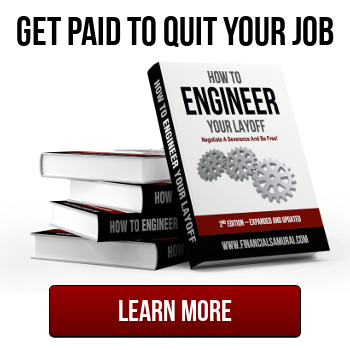 I’m sure you’ve been working hard this year on your career or entrepreneurial journey and you deserve a break! Although I’m a bit of a klutz, I absolutely love being outdoors and experiencing new things when I travel. Here are some adventure vacation ideas from a few of my favorite trips around the world that I highly recommend. 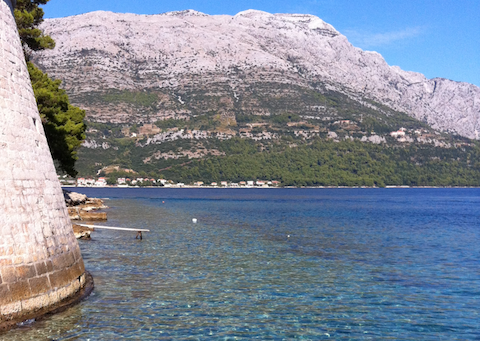 Jump into the crisp aquamarine Mediterranean Sea off the coast of Korcula, Croatia. The water is so refreshing you’ll feel ten years younger and the laid back atmosphere here away from the crowds will recharge your batteries. Take turns seeing who can make the biggest splash doing cannonballs into the water off the pier and you’ll be smiling all week. Ride a donkey up the steep cliffs to Santorini, Greece. I didn’t realize donkeys could get so incredibly huge and cute until I went to Santorini. The ride up the cliffs is a thrill and a half, and the view are truly breathtaking. Then once you get to the top you’ll never want to leave! The sunsets from up high are gorgeous. 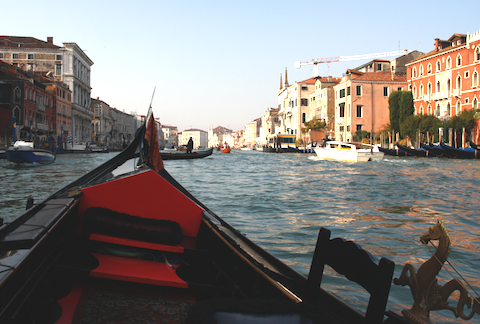 Bargain your way onto a romantic gondola ride in Venice, Italy. Amo l’Italia! Venice has the best gelato I’ve ever tasted and what better way to explore the city than through the canals on a gondola. Take your time finding a gondolier you like and agree on a good price before you push off the dock. Be sure to stay at least a few days in Venice to enjoy the charm of the quiet city after the tour groups disappear. Climb to the top of the Sagrada Familia in Barcelona, Spain. Talk about an architectural feast for the eyes and senses. 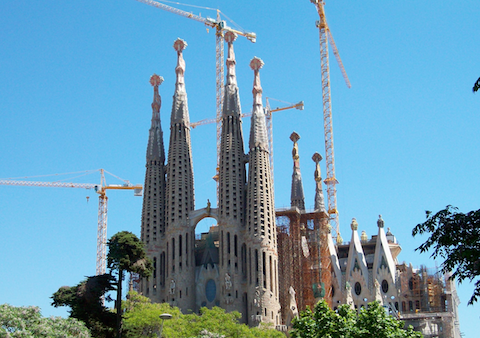 This is unlike any other basilica in the world. The design is so ornate and complex it’s still undergoing construction until 2026, that’s a total of 144 years! Climbing the narrow spiral staircases is also a dizzying challenge so don’t look down if you’re afraid of heights! Get lost in time at Pompeii, Italy. It’s truly incredible walking through the cobblestone streets of this historical city. 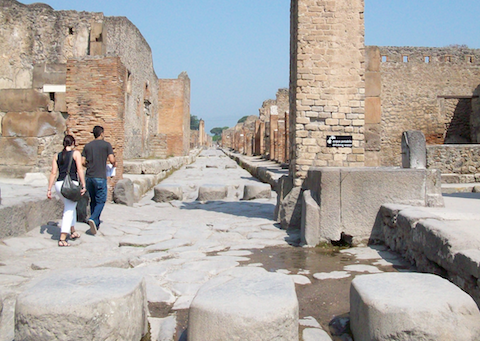 Pompeii is vast and stretches out across 163 acres. You can easily get lost both in time and direction if you wander out on your own it’s so large. I recommend going on a guided tour because there are so many fascinating intricacies they will point out that you would otherwise completely overlook. Ride a bicycle through Amsterdam, Holland. 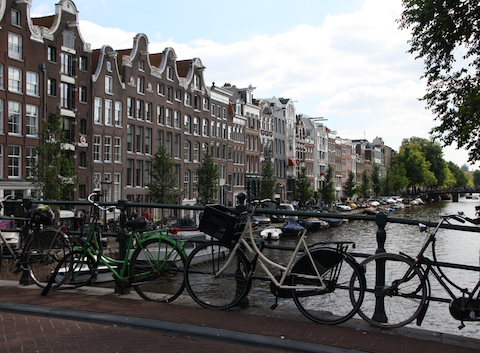 Although it sounds easy, riding a bike in Amsterdam takes finesse and gusto. The locals whiz around town like nobody’s business and you’ll have a blast trying to keep up with them. The canals, houseboats, and precariously leaning buildings give Amsterdam a unique character that you’ll fall in love with. So far, the only country I’ve explored in Asia is Japan, which is quite an eye-opening place to visit. Asia has so much to offer though and I’m looking forward to exploring some new countries there later this year. In the meantime here are some adventure vacation ideas in Japan that were really memorable for me. Experience the buzz during rush hour in Tokyo, Japan. Believe me you haven’t seen crowds until you’ve survived Tokyo during rush hour. It’s mind blowing how densely populated the Tokyo area is and your packed commute back home will suddenly feel luxurious after this. The energy and offerings in the city will leave you inspired and in awe. Relax at a ryokan and soak in a Japanese onsen in Kinosaki, Japan. Escape the busy city life in the lush countryside at a ryokan, or traditional Japanese inn. They are incredibly charming and a cultural must-do if you get the chance. There are several meals included in the price and the homemade dishes are delicate and super delicious. Top off your days with a soak in a hot spring, aka onsen. You will feel like a new person afterward! Climb the giant 12,389 ft volcano Mt Fuji in Shizuoka, Japan. This iconic mountain is a hikers paradise. There are several different entry points that range the hiking times from 4-10 hours to ascend and 3-6 hours to descend. If you’re strong and adventurous enough, make the climb to watch the sunrise and admire the sun shimmering on the surrounding lakes. Get a taste of Africa on a wild safari in Santa Rosa, California. I got to visit Safari West earlier this year and absolutely loved it. You get up close and personal with so many animals and exotic birds here that you totally forget you’re in California. Check out my pictures here. Experience indoor sky-diving in Union City, California. I had no idea how unbelievably fun indoor sky-diving is until I tried it a few years ago. iFly locations and similar facilities are popping up all over the country and abroad and it’s no wonder because the thrill of flying is indescribable. Plus it’s totally safe and you don’t have to jump out of a plane. You gotta try it to believe it! Walk among the giant redwood trees at Muir Woods in Marin County, California. There are so many hiking trails in this area you can trek along trails to your hearts content. All of your problems will melt away in the quiet forests here as you stand dwarfed next to these trees that reach up to the sky. When the mist and fog hangs in the tree tops with the sunlight filtering through you’ll feel like you’re on the set of Twilight. I recommend wearing Vibram FiveFingers! Hike the face of a mountain above Lake Tahoe, California. Tahoe is fun year round and my favorite time to visit is in the summer. There are plenty of water sports and lots of challenging hikes for the adventure seeker. Start out early in the day to beat the heat, pack lots of water, and don’t forget your camera! And rent my friend’s place in Lake Tahoe! He’s got a fantastic five diamond rated two bedroom, two bathroom condominium at The Resort At Squaw Creek in Lake Tahoe. There’s ski-in/ski-out, three outdoor hot tubs, three heated pools, a spa, a gym, several gourmet restaurants, fantastic children and family activities, a golf course on site, amazing hiking, kayaking, rafting, fishing, biking, and more! 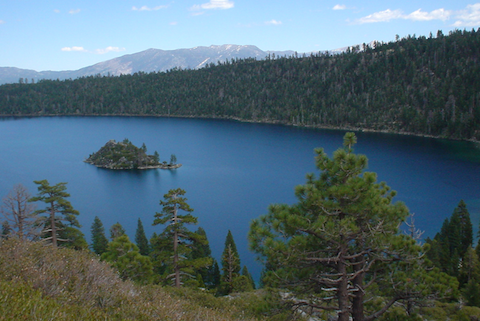 Lake Tahoe is one of the best places to vacation. You can rent book a reservation as a studio (two queens), one bedroom (one king, a pullout queen, fireplace, two TVs, kitchenette, dining table, two rooms), or entire two bedroom unit (studio and one bedroom combined). Click the links for availability and click this post to see pictures and information about it. Prices are ~15% lower than anywhere you’ll find online! 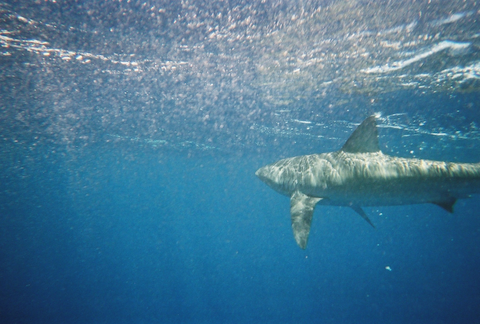 Swim with sharks off the coast of Haleiwa, Hawaii. I was thrilled when I had the chance to go swimming with Galapagos and Sandbar sharks in 600 feet deep water just off the North Shore coast on Oahu. The pic at the top of this post is real and that shark got even closer than in that shot! It was incredible! The power of the ocean currents was a huge shock to me, and being in the middle of the ocean with sharks circling just inches away from my face was a major adrenaline rush. To top it off, I saw 5 humpback whales on the boat ride out! The vibrant blue color of the water even at that depth was mesmerizing. 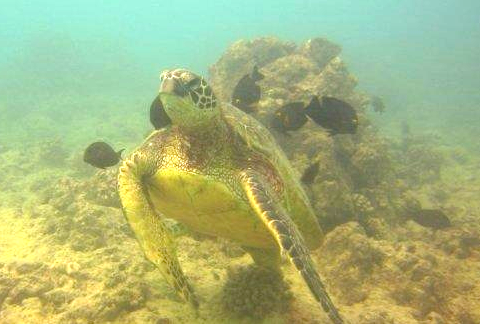 Go scuba diving for the first time in Honolulu, Hawaii. I’ve always wanted to learn how to scuba dive but never thought it would be possible without having to spend tons of money going to diving school. Turns out you can go scuba diving without any prior experience in many places in the world including Hawaii for only about $100-120/person! It took a lot of courage for me to get over my fear of panicking and hyperventilating under water but I had a super patient dive master and I managed to do it on the first try. I’m still amazed at how much marine life I saw too: sea turtles, white tip reef sharks, pebble collector urchin, slate pencil sea urchins, butterfly fish, yellow-tail wrasse, trigger fish, damsel fish, parrot fish, tang fish, moray eel and more! Being able to explore their world with the sun shining through the surface 40 feet above is unlike anything I’ve ever done before. If you love the water and marine life I highly recommend you go scuba diving at least once in your life! 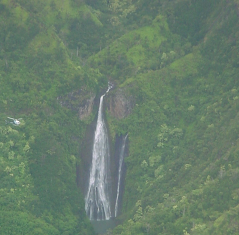 Go on a private helicopter ride on Kauai, Hawaii. 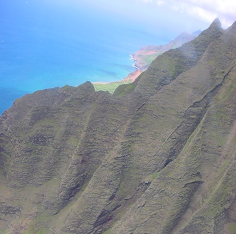 Another adventure vacation idea is seeing the Hawaiian islands from up high. Kauai has such a vast landscape with Waimea Canyon, Kalalau Valley, the Napali Coast, and the lush rainforest where the famous Jurassic Park waterfall was filmed. A lot of these places are best seen from the air where you can view how vast they are. Hike the Napali Coast Trail on the Northwest shore of Kauai, Hawaii. These stunning, jagged cliffs are not to miss. While only the most adventurous and experienced hikers will camp out and trek the entire fifteen miles, you don’t have to hike the entire length of trail to soak in the beauty. Jump into a refreshing cenote in the Yucatan, Mexico. There is so much to see and do in the Yucatan. There are more adventure vacation ideas in this area than I can count! 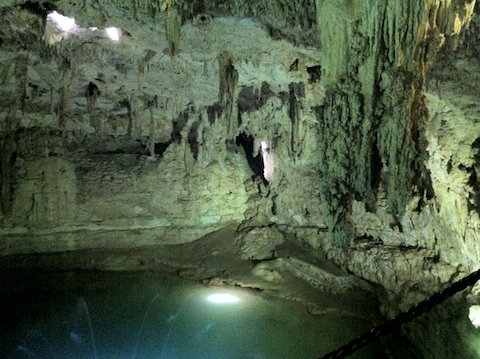 Cenotes are sinkholes that expose groundwater after the collapse of limestone bedrock above. Imagine a maze of underground caves filled with fresh water that have sunlight filtering through openings in the ceiling. Cenotes are all over the area and they are truly a delight to escape the heat, swim in and explore. 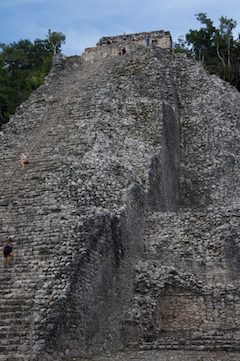 Climb the ancient Nohoch Mul pyramid in Coba, Mexico. This Mayan ruin is one of the surviving remnants of the ancient city of Coba. 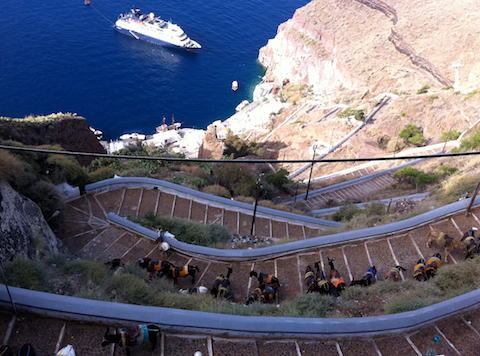 You’ll want to use the guide rope in the middle to climb the steep 120 steps up to the top. The panoramic views are breathtaking and you can see for miles. You’ll feel like royalty sitting on the top! Feed a manatee, pet iguanas, zip line, and snorkel for hours at Xel-ha, Mexico. Xel-ha Park is a natural aquarium that I absolutely loved exploring. Plus it’s an easy day trip from Cancun. It has multiple adventure vacation ideas and activities all in one place. You can zip line into the water as many times as you want, swim among tropical fish, play with iguanas, swim with dolphins and manatees (I got to hop in the water and swim around with this cutie below), and soak in some sun with all the conveniences of modern amenities. There are so many incredible places and sights to see all over the US and abroad. But before you can travel you’ll want to get your personal finance situation in order so you’ll have enough money to enjoy yourself and get around without stress. Check out my tips on how to pack smart for your next trip too. And take some time to do some research before you book your next trip too. I always like to check out travel deals online and book hotels that have high user ratings and flexible cancellation policies. Untemplaters, what are your favorite top 3 vacation memories? Do you have any adventure vacation ideas from your own travels to share? Are you headed anywhere this summer? Copyright. Updated 2017. Original content and photography authorized only to appear on Untemplater.com. Thank you for reading! Woah, nice shark! Was it a little freaky to be so close to them? That’s a cute manatee hehe. Thanks. Yes it was crazy being so close but exciting too. Even though I know sharks are often misunderstood and won’t just attack every human they see it was still quite intimidating seeing such large sharks! 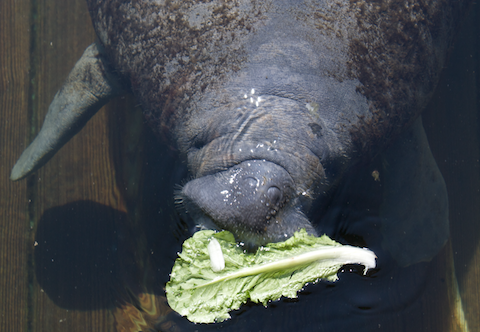 And manatees are even cuter in person! I was on cloud 9 when I got to pet them, and feed them lettuce. They are so big and being in the water with them was so much fun! Great ideas! I think we get caught up in traveling far to get that unique experience and sometimes it is close to home. I took a weekend away last Fall and thoroughly enjoyed the beach and the simple life. It was less than 45 minutes from home! That’s quite true. Safari West was one of those places for me that was just a short drive away and I absolutely loved it. That’s nice you live near the beach. I love going on trips by the water! My top vacation memories aren’t necessarily good ones, like the time at a water park where I got psyched out because of the height and got out of the raft before it left and went back down the stairwell. That’s funny because I’ve actually done the same thing haha. I got to the top and freeeaked out when I saw how fast the water was rushing in the tube. I remember being so embarrassed walking back down the stairwell but I was glad to be on the ground. I think I’d be up for trying it now but I haven’t been to a water park in over 10 years. I love my babies, but being able to travel again is the ONE THING I’m looking forward to about not being in the diapers stage of life anymore. Yeah I’m sure that will be nice. Little ones don’t travel that well, especially on planes. I’ve been on flights where 3-6 month olds actually did better than the 2-3 year olds. It’s crazy how loud kids can be when they’re having tantrums even with the roar of the plane. I notice you don’t have any East Coast sights on your list, maybe you’ll have to come check out the East Coast someday. My top three vacation memories are Yellowstone, the Badlands, China (back when you could still see through the smog). Nice! I haven’t been to any of those. I’d love to see Yellowstone. And I wish I went to China before the smog. I want to see the Forbidden city and the Yellow Mountains but the pollution is definitely putting it at the bottom of my to see list. In Guatemala you can climb an active volcano and get really close to the lava, it is impressive. Then you go down and soak in thermal bath heated by the volcano. Oh wow that sounds awesome! Photographing lava flows is on my bucket list so I’ll keep Guatemala in mind for that if I don’t make it to Hawaii Volcanoes National Park first. Sharks?! Seriously?! And I thought I was an adrenaline junky! Hopefully one day I can travel the world like you have. I have seen a good part of the world but definitely not on my own terms. By the way I have Vibram Five Fingers and love them. Yep sharks! Vibrams are so much fun to hike in aren’t they? I took mine on a couple muddy hikes last week and had a blast. I don’t think I’ve ever considered riding a donkey until now, lol. Oh my god, these places are on my travel list! The places in Mexico look amazing! Oh I don’t know about swimming with the SHARKS lol But when we went to Hawaii we did get to swim with and meet up close the bottle nosed dolphins at Dolphin Quest Oahu! That was a pretty amazing experience!!! What a great article! These vacation ideas are incredible. These seem fun. Maybe, I would still choose going to a Hawaiian adventure this summer. So perfect and so cool. Everything there is fun fun and fun. This is very thought provoking! Pompeii looks like a great way to walk back in time. I feel that way when I take the family to visit the Teotihucan Pyramids in Mexico. I always try to imagine it’s early citizens actually walking around the streets, and think about what it was like for people when they lived there 2,000 years ago. 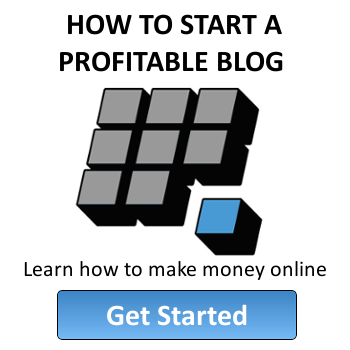 Thanks for sharing this post, you have given me lots of ideas for my future trips. Also, I can personally vouch for one of your choice – Venice is one of the most beautiful cities in Europe and I would gladly visit it for a 4th time! I was also expecting to see Paris in this list. How come you left it out? That’s awesome Damian, glad you liked it! Venice is so gorgeous. I hope to go back someday. Paris is also wonderful. I left it off because I didn’t get to experience anything super action packed, unusual or adrenaline pumping. But I do recommend it as a place to visit. One day I hope to go back and visit Versaille.